Events for Marie Curie Alumni – Don’t miss them! Keep in touch…what’s coming up in the next newsletter? Yan Ning (from China) and Tonni Kurniawan (Chinese overseas by origin) have decided to work on their Marie Curie projects in Europe. They both agree this experience has been a really unique opportunity. 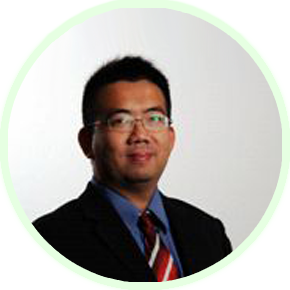 Kurniawan has received a Marie Curie Host Fellowship for the Transfer of Knowledge to investigate a number of water technologies to treat contaminated water. These technologies include adsorption to remove heavy metals from industrial wastewater and an electrochemical method for treating bleaching effluents from the pulp and paper industry. Kurniawan had the opportunity to work on this project in Mikkeli, Finland, hosted by the Kuopio University, from December 2008 to September 2010. Yan Ning spent his International Incoming Fellowships (IIF) working on his project “Tandem catalysis for the production of biofuel-related chemicals from biomass derived polyols” from May 2010 to April 2012 at the Swiss Federal Institute of Technology in Lausanne, Switzerland. Excellence and good reputation. Our Alumni selected their host organisation in Europe because they were looking for a place where they could enhance their professional skills. 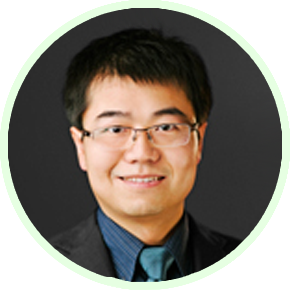 According to Yan Ning, the head of his host laboratory in Switzerland, Professor Dyson, is highly respected in his research area and it was extremely pleasant to work with him. Kurniawan states that Germany and Finland are “on the world’s map of excellence for water technologies” and he selected Finland because the country has “advanced equipment required to capture water directly from non-traditional sources, such as municipal wastewater, and to restore it to near drinking water quality”. Applying for a Marie Curie Action from Asia to Europe is relatively simple. Preparing for their project, Yan Ning and Kurniawan had to provide the standard documents required for a Marie Curie Action application. Kurniawan also had to describe the potential for innovation of his project, knowing that the track record of individual applicants would been evaluated. He then submitted his proposal with his resume and degree certificates. The application from Asia to Europe was considered straightforward by our Alumni. English is the language of science for research worldwide and so neither Kurniawan, or Yan Ning needed official translations. However, Kurniawan advises potential applicants to spend time carefully identifying a host laboratory that can provide the equipment needed. High level infrastructures and total freedom at work. Yan Ning highlights the high level of infrastructure at his host organisation in Switzerland, describing them as “state-of-the-art”. He benefited from the fact equipment was always readily available.. What’s more, both Yan Ning and Kurniawan stress the freedom in which they conducted their research “As scientists, we had the freedom to think, and independence to pursue and complete our own projects, totally free from any political interference from the host country. Scientists who live in developing countries may not have such privileges,” according to Kurniawan. He also describes the research environment in Finland as efficient due to the synergy of many projects’ outcomes and benefits. Nice memories. Both Alumni have nice memories linked to their stay in Europe during their Marie Curie project. Yan Ning remembers the birth of his child in 2010, whereas Kurniawan had the privilege to enjoy watching the Northern Lights in Lapland over 100 nights.